At the beginning of 2017, $32,500 (£26,300) would buy you one tonne of cobalt. Today you’d have to fork out $81,000. 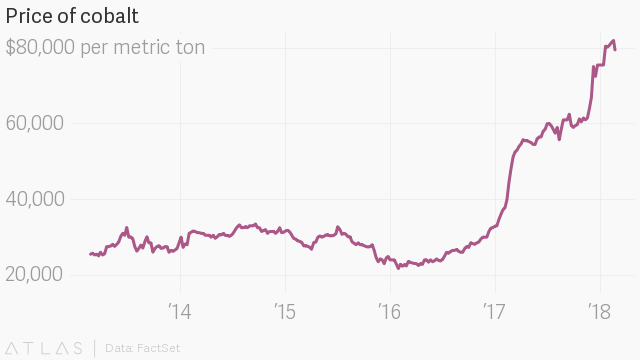 Since 2016, cobalt’s price has spiked enormously, and it’s all because of batteries. That demand comes from consumer electronics and using batteries as grid storage for renewable energy sources. But by far the biggest driver is electric vehicles, with governments around the world looking to make the switch from petrol and diesel. In July 2017, the UK announced plans to phase out sales of new petrol and diesel cars by 2040, and the EU is tightening carbon dioxide limits to incentivise a shift to electric vehicles. Meanwhile, India plans to replace its entire car fleet with electric models by 2030. In California, the official target for electric vehicles is 5 million by 2030. And in China, where electric vehicles are seen as a solution to its smog-ridden cities, subsidies are offered to consumers and a reward system for manufacturers is being introduced. Consumers will be able to choose from an expanding range of models. All will be powered by the lithium ion battery, the battery of choice for General Motors, Honda, Tesla, BMW, Ford, BYD and Nissan. Each time battery prices decrease, the competitiveness of electric closes in on the internal combustion engine. But the cost of the lithium ion battery will determine how quickly electric cars roll out, because it can be up to half the cost of a purely electric vehicle. Material prices were less important when lithium ion battery costs were $1,000 per kWh around 2010, but as prices near $100 per kWh (they are below $140 today) the basic material costs now make up 70% of the total cost of a lithium ion battery. Cobalt’s price has rocketed because the increased demand from big battery makers, electronics manufacturers and auto companies is putting pressure on a supply that is constrained by several factors to do with economics, politics and geography. First, cobalt is mainly a byproduct of nickel and copper mining; there are very few pure cobalt mines, with Bou Azzer in Morocco being the largest. Therefore, cobalt production is bound closely to demand for copper and nickel. ‘The worst thing that could happen for the battery industry is for the economy to collapse. If that happens, demand for stainless steel goes down, which means demand for nickel goes down. Less nickel mined will mean less cobalt,’ says battery chemist Gerbrand Ceder at the University of California, Berkeley, US. 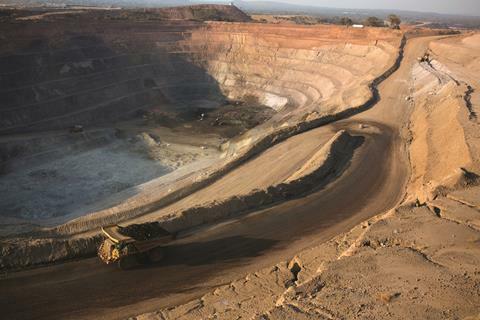 ‘Nobody will mine more nickel just to get the cobalt out.’ Ditto for copper. Second, the cobalt supply chain is dominated by two companies, and a single country: the Democratic Republic of Congo (DRC). Canada, Australia, the Philippines and Madagascar also mine cobalt, but the DRC dwarfs them all, heaving out two-thirds of the world’s cobalt in 2017. ‘After DRC, it is very fragmented. No other nation contributes as much as 10 per cent of the cobalt supply,’ says Rawles. This keeps battery manufacturers awake at night. The DRC suffers from conflict and cobalt there is linked to illegal mining and child labour. ‘I’ve had multiple Chinese carmakers in my office really worried [about cobalt supply]. They wish they’d thought about this two years ago,’ says Ceder. Yet reliance on the DRC is set to continue. Currently, total world cobalt production is around 100,000 tonnes annually. ‘Last year around 48,000 tonnes of cobalt was consumed by the battery industry. By 2025, we think the battery industry alone will need 127,000 tonnes of cobalt. That requires considerable growth in supply,’ says Rawles. Car companies cannot afford this attitude. A smartphone might use 10–20g of cobalt, but an electric car could harbour 10–20kg. And car companies will struggle to pay the prices that consumer electronics will fork out. While cobalt prices spiked dramatically last year, Ceder believes there is no ceiling for it. ‘It will just go to whoever pays the most. That will be the Apples and Samsungs of this world,’ he adds. Some analysts warn that cobalt could even raise battery prices enough to put the brakes on electric vehicles. So car makers have focused on cathode materials that use less cobalt. One popular cathode in some electric vehicles is lithium iron phosphate, especially favoured by BYD for e-buses. The Nissan leaf runs on a lithium manganese oxide cathode. However, most automakers are plugging for some sort of lithium nickel cobalt manganese oxide cathode, NCMs for short, because of their impressive energy content. These cathodes are the focus of Panasonic and LG Chem. The recipe for NCMs started as one part nickel, one part manganese and one part cobalt, or NCM 111. As time has gone on, battery makers are progressing to higher nickel content, so NCM 523 and more recently NCM 622. However, as you increase the nickel content, the number of charge cycles can fall and safety issues loom larger. 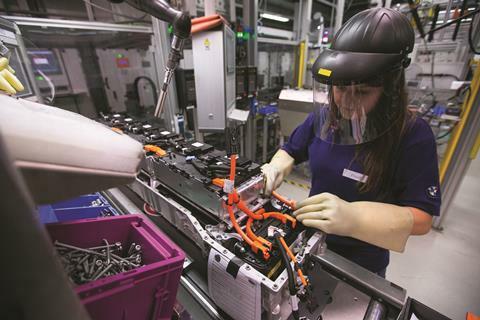 Still, the industry is pushing on to NCM 811, with LG Chem last year announcing it would introduce NCM 811 into electric vehicle battery cells for 2018. Thereafter, there is talk of NCM 85-10-05 (10% cobalt). Tesla is using a slightly different chemistry in its cathodes, opting for lithium nickel cobalt aluminium. No other automaker is going down this road. The average Tesla could have between 6 and 9kg of cobalt, says Rawles, whereas many carmakers will blend NMC cell types but perhaps use twice that amount of cobalt per car. This helps explain why analysts Wood Mackenzie estimate that there will be four-fold demand for cobalt for electric vehicles by 2020 and eleven-fold by 2025. The best recyclers will most likely emerge in China, since that is home to two-thirds of cathode makers. China also refined around 57% of cobalt material last year, and produced over 80% of the cobalt salts needed for batteries. Melin’s view is that Chinese firms already reuse much of the cobalt in today’s lithium ion. He says it would be a huge mistake for Europe and North America to think of used lithium ion batteries as waste. ‘An electric vehicle is like a battery on wheels. The battery is that important.’ Most electric vehicles today are sold at a loss. ‘Second life could be an area where the car makers start to make money on the batteries, using them in utility storage applications,’ Melin adds. In all the future recipes of lithium ion batteries, another ingredient that remains crucial is lithium. In 2017, lithium from brine ponds, mostly in Argentina, Chile and China, accounted for 40% of global supply, while production from mineral rocks formed 60%, mostly in Australia, China, Zimbabwe and Portugal. Supply (as lithium carbon equivalent) was just over 233,000 tonnes in 2017, with consumption just under 217,000 tonnes. 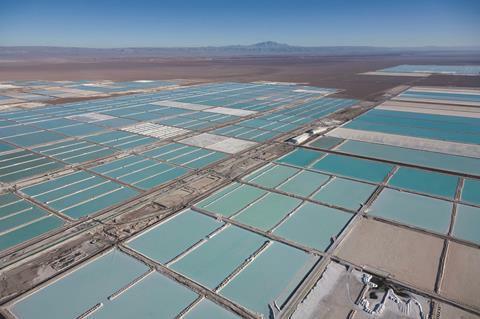 A rise in lithium prices however has boosted supply, with new mines opening up. ‘Roskill expects a significant oversupply of mined lithium from 2017 through 2018,’ notes commodity analyst Robert Baylis at Roskill. However new sources will be needed towards the mid-2020s. ‘There is an extensive pipeline of lithium projects currently under development,’ adds Baylis. Lithium reserves are widely distributed and getting enough lithium should not be an issue. Supplies of nickel, manganese and natural graphite also appear sufficient to meet the anticipated demand for lithium ion batteries. 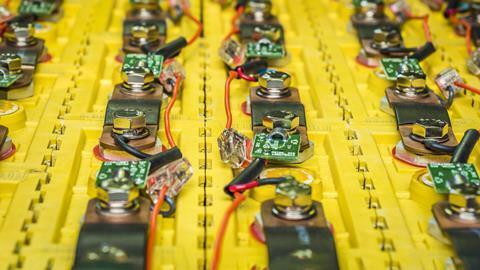 New battery chemistries exist, but getting them in shape for commercial products is another matter. ‘People might talk about lithium air or lithium sulfur systems, but these are technologically less mature,’ says Billy Wu, battery engineer at Imperial College London, UK. Johnson Matthey in the UK has worked on a non-NCM cathode material it calls enhanced lithium nickel oxide, or eLNO, which promises higher energy density and thrifty cobalt use. 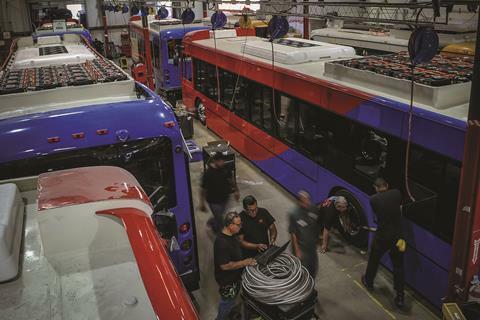 This is not an incremental improvement, says Alan Nelson, chief technology officer, ‘but a step-change high energy cathode material that improves both performance and cost to drive mass electric vehicle adoption’. In his Berkeley lab, Ceder has explored whether he could develop a good cathode without layers. ‘We found that if you went to 10 to 20% lithium excess, you could create diffusion mechanisms that were tolerant of disordering,’ he explains. This means that disordering in the cathode material would not matter to the lithium ions so metals such as titanium, manganese, vanadium or molybdenum could be used instead of cobalt. But no one expects such technology to arrive anytime soon; the NMC cathode chemistries being improved today were first published 20 years ago and have at least 10 years left, most experts predict.